It’s an unfortunate fact of life that loss of hearing is part of getting older. Approximately 38 million people in the United States have some form of hearing loss, but because hearing loss is expected as we get older, many people decide to ignore it. Neglecting hearing loss, however, can have severe negative side effects on a person’s overall health beyond their inability to hear. Why do so many people refuse to get help for their hearing loss? According to an AARP study, more than one-third of seniors consider hearing loss to be a minor problem that can be managed easily enough, while more than half of the participants cited cost as a concern. When you consider the conditions and serious side effects caused by ignoring hearing loss, however, the costs can rise astronomically. Here are the most prevalent negative effects of neglecting hearing loss. Most people will not immediately connect the dots from fatigue to hearing loss. They are commonly in denial and will blame their fatigue on things like getting older or a side-effect of medication. The truth is that the less you are able to hear, the more your body works to make up for it, leaving you feeling exhausted. Visualize a task where you have to be completely concentrated like taking the SAT exam. You will probably feel depleted once you’re done. The same thing occurs when you struggle to hear: your brain is doing work to fill in the blanks you’re missing in conversations – and if there is a lot of background noise this is even more overwhelming – and as you try to process the information, you deplete precious energy. This type of persistent fatigue can impact your health by leaving you too tired to take care of yourself, passing up on things like cooking healthy meals or going to the gym. Johns Hopkins University conducted a study that linked hearing loss to , accelerated brain tissue loss, and dementia. Even though these connections are not direct causations, they are correlations, it’s believed by researchers that the more cognitive resources used trying to fill in the blanks of a conversation, the less the resources available for other things such as comprehension and memory. And as people age, the additional draw on cognitive resources can accelerate the decline of other brain functions and contribute to gray matter loss. Also, having a frequent exchange of information and ideas, often through conversation, is thought to help senior citizens stay mentally fit and can help slow the process of cognitive decay. The discovery of a link between hearing loss and a decline in cognitive functions is promising for future research since hearing and cognitive experts can work together to pinpoint the causes and formulate treatment options for these ailments. The National Council on the Aging conducted a study of 2,300 seniors who suffered some form of hearing loss and discovered that people who neglected their hearing problem had mental health issues such as depression, anxiety, and paranoia, which negatively impacted their social and emotional well-being. The link between hearing loss and mental health problems makes sense since those with hearing loss often have trouble communicating with others in family or social scenarios. This can bring on depression after suffering from prolonged feelings of seclusion. Because of these feelings of exclusion and isolation, anxiety and even paranoia can be the result, specifically if neglected. Hearing aids have been shown to assist in the recovery from depression, though anyone suffering from depression, anxiety, or paranoia should consult with a mental health professional. All the parts of our bodies are one interconnected machine – an evidently unconnected part can be impacted negatively if a different part stops working as it should. This is the situation with our hearts and ears. For instance, hearing loss will take place when blood doesn’t flow freely from the heart to the inner ear. Another disease that can affect the inner ear’s nerve ending, and is also connected to heart disease is diabetes which causes messages from the ear to the brain to get scrambled. 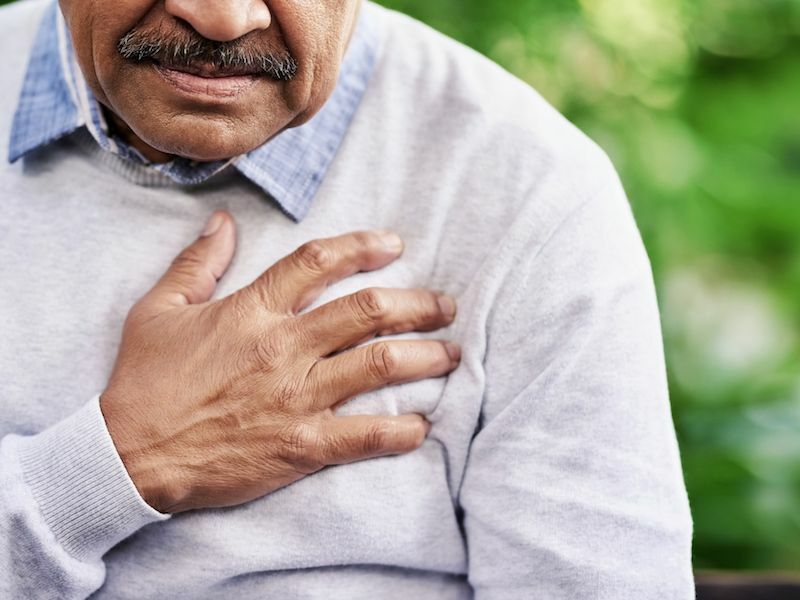 In order to find out whether loss of hearing is caused by heart disease or diabetes, if you have a family history of those illnesses consult with both a hearing expert and a cardiac specialist because neglecting the symptoms can result in severe or possibly even fatal consequences. Please contact us if you are experiencing any of the negative effects listed above or if you have hearing loss so we can help you live a healthier life. Schedule your appointment now.